"Wide Plank Butternut Flooring" Now Available! Colling-Wood Flooring Specialist is family owned and operated. We take great care and pride in our work, only providing the finest quality flooring. All our flooring is mill run which results in knots as well as some clear boards, providing the character in flooring that people love. 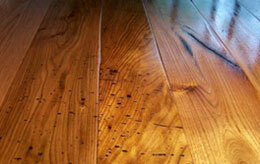 We produce Pine Flooring in 4" to 16" wide boards and Hardwood Flooring in 6", 8" and 10" wide boards. 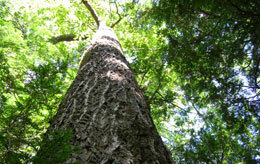 All of our logs are our own local Ontario Grown logs and cut on site. Our tongue and groove machine was engineered and custom made exclusively for our floors. This enables us to make boards up to 16' long and ensure that they are straight. All flooring is sold unfinished, giving the buyer the option to select their own stain varathane or natural finish.